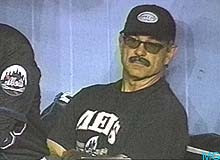 Now in the post-Torre era the Yankees have turned their attention toward hiring a new manager. Bench coach and former team captain Don Mattingly seems to be the internal favorite, but General Manager Brian Cashman has said the Yanks will interview five or six people for the job and have not yet made a decision. 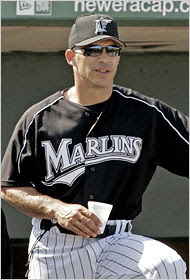 2006 National League Manager of the Year Joe Girardi is another candidate. Girardi won three World Series with the Yanks while playing in New York from 1996 till 1999. He has only managed one season in baseball and turned the Marlins, who were expected to lose 100 games, into wild-card contenders. Yankees first base coach Tony Pena, who won the American League Manager of the Year award in 2003 while managing the Royals, is another consideration. From outside the organization Tony LaRussa who is expected to leave the St Louis Cardinals has been rumored to be a possibility along with former Mets manager Bobby Valentine. Whoever does replace Torre is going to have his hands full. Torre hasn’t brought the team to the World Series since 2003, but has faced significant challenges since then. In 2006 the lineup took a severe hit after losing both Hideki Matsui and Gary Sheffield to injuries, but the Yankees managed to overcome by winning the division. This season rookies made about 25 percent of the starts, but the team still managed to come back and win the wild-card. Also along the way he has had to deal with wash-up aces like Kevin Brown and Randy Johnson and he still managed to win every year. In the end none of this mattered and Torre’s replacement will likely be forced to do better than this or else suffer a similar demise.